Shutdown Status: The park is open and the road is plowed to the visitor center. Pullouts and parking spaces are not cleared, which has caused some vehicles to park on the main park road. Please use extra caution driving the road and park in designated parking areas. The visitor center and campground are closed. Trails around the visitor center are being used for winter hikes, but can be icy. Snowshoes or other traction spikes are advised. The South Rim Road has not been groomed but ski tracks are set and it skis well. Remember, other than law enforcement, park staff is not at work and it is up to you to care for the park. Please pack out all your trash and consider removing anything you see left by others. Obey posted park rules. Use sound judgement about your adventure because getting help is complicated, you must be self-reliant. Enjoy our park, but please leave it at least as wonderful as you found it. Most of all, if you know someone that works for the park or for Curecanti National Recreation Area (our sister park), check in with them and give them encouragement that we all love our park and are protecting it together. 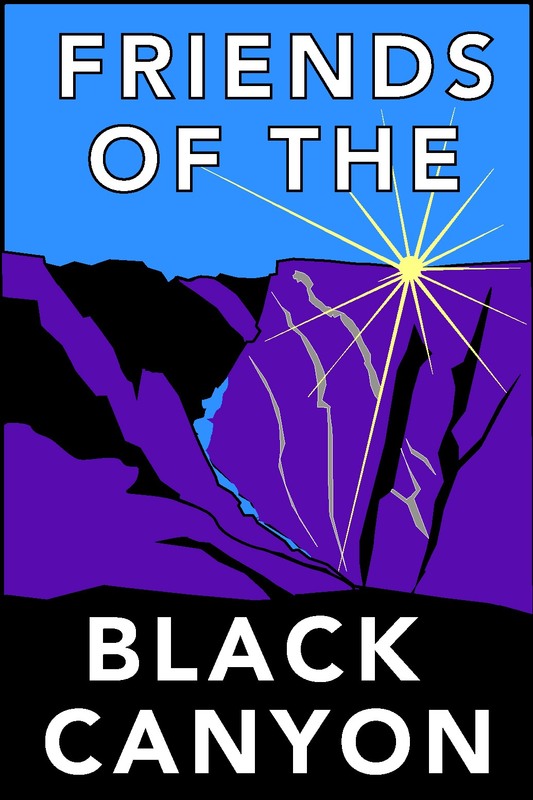 Friends of the Black Canyon of the Gunnison National Park supports cultural, educational, and ​research activities at Black Canyon of the Gunnison National Park. We realize there are many ways to enjoy Black Canyon and we aim to engage all user groups in our efforts to support the park. So if you are a climber, a hiker, an angler, a school kid, a snowshoer, a Nordic skier, a park junkie, or just a person enchanted with your experience at the park, we look forward to hearing from and working with you.